Kumbh Mela an auspicious gathering of devotees from across the globe who come here to attain spiritual salvation and wash off their sins in the ritual bath at the Triveni Sangam in Prayagraj. It’s usually a 55 day affair, and this year it started on January 15 and will be on till March 4. So if you’re travelling to the mela, here’s where you can stay to get an unparalleled experience of the place. The Sangam Nivas Camp introduces travellers to a multi-sensory journey into the very heart of the Kumbh Mela. 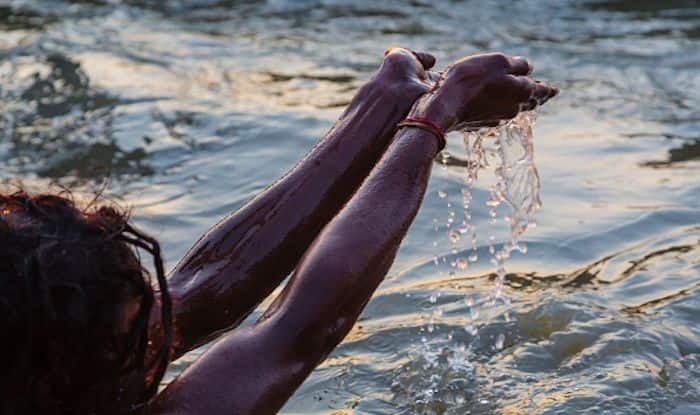 Sangam Nivas aims to provide the quintessential essence of the Kumbh Mela to seekers of spirituality and well-being, while bringing forth the holistic aspects of Indian philosophy and mythology. Guests can choose from specially appointed spacious 17 Luxury tents and 27 Super Luxury Deluxe tents equipped with modern amenities and ornate bespoke furnishings. Exceptional services are also at offer such as unlimited Wi-Fi at the reception tent, round the clock security and paramedic on site, electricity, a library, a wellness centre for rejuvenation and Temple for the evening ‘Aarti’. Each tent has a bathroom with access to 24 hours running hot and cold water. The camp has weaved in exclusive activities specially curated to enhance the Kumbh Mela experience. Witness the sea of fervent devotees performing their rituals and offering prayers or choose to visit the various akharas to get a comprehensive view on the ideology and philosophy of different sects of Hinduism. Partake in morning Yoga and Meditation classes held for guests staying at Sangam Nivas or enjoy the Kumbh Mela on an early morning boat cruise and watch devotees by the river banks perform ablution and offering prayers to their divine deities with hymns and mantras being chanted in unison. Interact with sadhus and seers to understand the true essence of self-sacrifice to attain self-realization or capture the mystical milieu of humankind and faith on camera as part of their photography excursions. Travellers will be treated to simple yet unique culinary experience where vegetarian food, freshly baked breads, pies and cookies will be prepared by their chefs. You Must Stay in a Tent on a Hillock Overlooking The Sangam That Offers The Perfect Vantage Point to Soak in The Atmosphere.